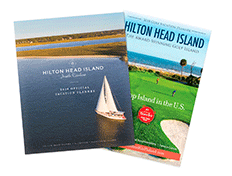 With plenty of flights to Hilton Head Island, and easy access by car, getting here is a breeze. It’s easier than ever to get to America’s favorite island, whether you’re traveling by car or by plane. With two airports servicing flights to Hilton Head Island, and many airlines providing convenient non-stop flights from major cities in the U.S., traveling to Hilton Head Island is easier than ever. Airport shuttles, Uber, Lyft and airport taxi services provide convenient transportation to Hilton Head Island and Bluffton from both the Hilton Head Island Airport and Savannah/Hilton Head International Airport. And if you’re driving, Hilton Head Island is located a quick 30-minute drive from Interstate 95 (I-95). The Savannah/Hilton Head International Airport is about 45 miles (72km) south of the Island just over the Georgia border in Savannah, GA and offers many non-stop flights to and from major U.S. cities. Hilton Head Island Airport is located approximately 5 miles (8km) from all Hilton Head Island resorts and currently offers jet service via non-stop and connecting flights to and from Charlotte, NC. In the spring of 2019, service will be expanding to other major connection hubs of Delta, American Airlines and United Airlines such as New York, Atlanta, Washington, D.C. and Chicago. Check with carriers for route schedules and details. There are plenty of ways to get around the Lowcountry once you arrive. Rent a car, book a limo or car service, hop on public transportation, take a cab…or, for something completely different, try a helicopter tour! From I-95, take Exit 8 (eight miles north of the Georgia border) onto Highway 278 and go east following the signs for Hilton Head Island. Continue for about 18 miles and cross over the bridge over the Intracoastal Waterway to Hilton Head Island. If you are traveling to the South end of the island (Shipyard, Coligny, Forest Beach, Sea Pines), stay to the left and use the Cross Island Expressway to save time. However, don’t forget $1.25 for the toll! Otherwise, keep right and stay on Highway 278 Business / William Hilton Parkway to venture onto the island’s North end, or to avoid the toll. Avoiding the toll will add about ten to 15 minutes to your drive should you rather take this longer route to the South end of Hilton Head Island. Sit back, relax, and take the train! Amtrak service is available via Savannah, GA, which is a short 45-minute trip from Hilton Head Island, or via Yemassee, SC, which is just one hour from Hilton Head Island.